Decrease your costs by as much as 69%! Traditional EHR implementation transfers documentation responsibility to the physician, reduces the time the doctor has to see patients, and results in lost revenue (not to mention frustrated physicians). The goal of every physician is to provide exceptional care while maximizing profitability. 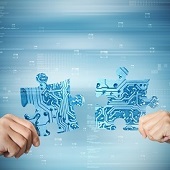 EHR offers many benefits to simplify documentation and speed reimbursement. The challenge is that most EHR implementations fail to live up to expectations and many are scrapped. Integrity HD is the transcription solution that works with any EHR system. Free your doctors to see more patients and decrease your documentation costs by as much as 69%. Integrity HD works with any EHR system. We are 100% U.S. based and have been providing quality and dependable transcription services since 1998. We are real people with strong values, providing exceptional service and quality. Integrity HD is the healthcare documentation solution that works with any EHR system. 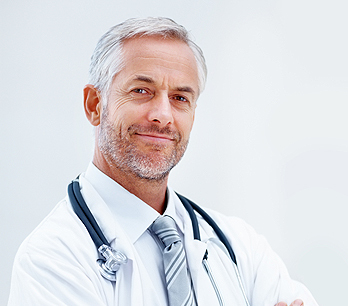 Free your doctors to see more patients and decrease your documentation costs by as much as 69%. 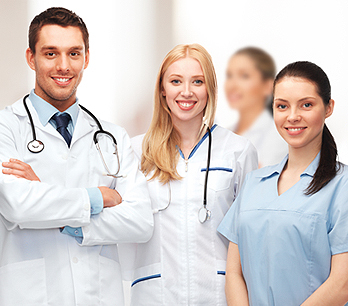 We are 100% U.S. based and have been providing quality and dependable healthcare documentation services since 1998. Our Mobile App makes it easier to document patient encounters by allowing healthcare professionals to use WiFi networks or cellular data connections to create documentation with either an Apple iOS or Android mobile device. 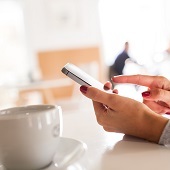 Patient documentation is created instantaneously and securely from a mobile device. Our Application allows the healthcare professional to dictate, review, edit, and electronically sign documents from the same device. Then, once approved, an authenticated document can automatically be printed, faxed, or sent directly to an EHR system. The mobile device also allows for access to patient schedules and appointments, dictation and document templates, and a patient’s transcription history, greatly improving the efficiency and accuracy of documentation. At Integrity HD, we utilize Emdat Mobile, which is a free download from the mobile device store. The mobile device also allows for access to patient schedules and appointments, dictation and document templates, and a patient’s transcription history, greatly improving the efficiency and accuracy of documentation. When a physician dictates utilizing a pre-defined template, making changes as necessary, we count those template lines separately and charge a reduced rate compared to traditional transcription lines. When utilized effectively, these Qualified Text (QT) lines can reduce your costs by 40% or more. For more information about how QT might be part of your cost-saving solution, contact us today. Our specialty is the customization of our process and technology to meet the needs of our customers. We provide top-notch service, high quality documentation, and will meet your required turn-around times (TAT). Whether you require outsource services for periodic overflow or for your entire hospital system, we can offer you a complete solution. We provide a custom real-time HL7 interface to your existing or new electronic health records (EHR) system with no charge from us. We will create a workflow designed to match your requirements. If you simply need to have the transcriptions populate your doctors’ inboxes for authentication within your own EHR system, then that is what we will provide. If you need more audit and tracking capabilities during transcription, we provide that, as well. We do not send work overseas, so you do not need to worry about whether your protected health information (PHI) is safe and protected by U.S. laws and regulations. Allow us to show you how we can help your hospital become more profitable while meeting your medical documentation needs. Integrity HD utilizes one of the best healthcare documentation software systems available today. The entire suite of software is provided to all of our clients free of charge. The software is robust, customizable, and very user-friendly. Using our new secure free app from your iPhone, iPad, or android mobile device, you can handle all of your documentation needs, including dictation, editing, electronic signature, and routing of documents. 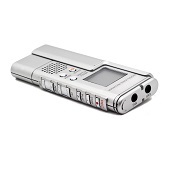 When a hand-held recorder is docked to a computer, dictations are automatically encrypted and routed securely to our servers. The software resides on your computer and requires no interaction from you. Once transcribed, documents can be viewed, edited, electronically signed. Once authenticated, transcriptions are automatically routed for printing, autofax, and placement in a chart, EHR, or clinical repository. Our interface software runs as a service, providing bidirectional real-time HL7 messaging on a constant basis. Your interface will be customized to deliver the results based on your specifications. We specialize in providing custom solutions for all of our clients. We provide top-notch service, high quality documentation, and will meet your required turn-around times (TAT). 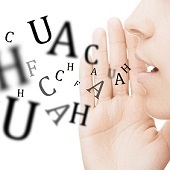 At Integrity HD, we provide our clients with solutions above and beyond that of traditional transcription. Our software is web-based and customizable to your needs. If your doctors need to edit and sign their transcriptions, they can do so with a password-protected login. We provide custom real-time HL7 interfaces to your practice management and/or EHR system, with no charge from us. We can interface with any EHR on the market today. Your dictations and transcriptions are always securely encrypted and you control who has access to them. We utilize 128-bit Twofish encryption and secure socket layer (SSL) technology to ensure the safety and security of your records. We offer a variety of options from dictation source to routing of final transcriptions, including a fully integrated app for your smart phone. Our goal is to meet the individual needs of each of our clients. Let us show you how we can provide the right solution for you and increase your organization’s profitability at the same time. Everything mentioned is included in our highly competitive prices.